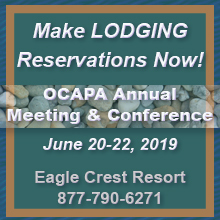 OCAPA holds regional meetings in all regions of Oregon periodically throughout the year. All aggregate, concrete & industry-supporting companies are invited to attend, so check here for updates. Throughout the year we schedule area meetings to provide valuable information affecting the Concrete & Aggregate Industry in Oregon. A menu will be provided at the event for you to order from, with a variety of selections.